Grew Up… with her father, Sir Leondegrance, a noble who had his chance at becoming king by pulling the sword Excalibur from the stone. Unfortunately, this was not his calling. However, coming from a noble upbringing, Guenevere has her own glorious destiny cut out for her. 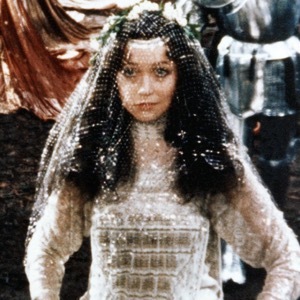 Living… in Camelot, as Queen. 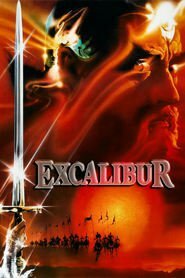 King Arthur effortlessly pulled Excalibur out of the stone and soon became accepted as the one ruler. Guenevere cleaned his battle wounds, and they quickly fell in love. Now she rules by his side, supporting him in all of his quests. Relationship Status… torn. Sir Lancelot, Arthur’s best knight, has professed his undying love for her, and only her. Guenevere can’t quite understand her emotions. There’s an obvious attraction between her and Lancelot, and everyone at the Round Table knows it. But adultery, especially in medieval times, is no small offense. Challenge… keeping the peace among the Round Table. Her feelings for Lancelot have complicated not only her relationship with Arthur, but also the relationships among the knights. In order for their council to go smoothly, all of the knights need to be on even footing. Personality… energetic, fun, loving, emotive, and sensitive. Guenevere is full of passion for life and love and is no one’s damsel in distress. Guenevere is a strong-willed woman with a mind of her own. Guenevere's popularity ranking on CharacTour is #3153 out of 5,000+ characters. See our top-ranked characters and read their profiles.